Soft contact lenses are fitted extensively in modern contact lens practices, including for some cases of keratoconus and post-corneal grafts. The use of the highest-Dk materials, such as silicone hydrogels, ensures better health for the more sensitive ectatic or transplanted cornea. This, in conjunction with the soft lens materials’ low modulus, offers an advantageous alternative to other, more rigid, lens options. Moreover, due to lens design, fit and material selection, corneal warpage can be avoided, offering an additional viable lens modality option for the eye care practitioner. However, the optical success of these lenses is dependent on lens design. 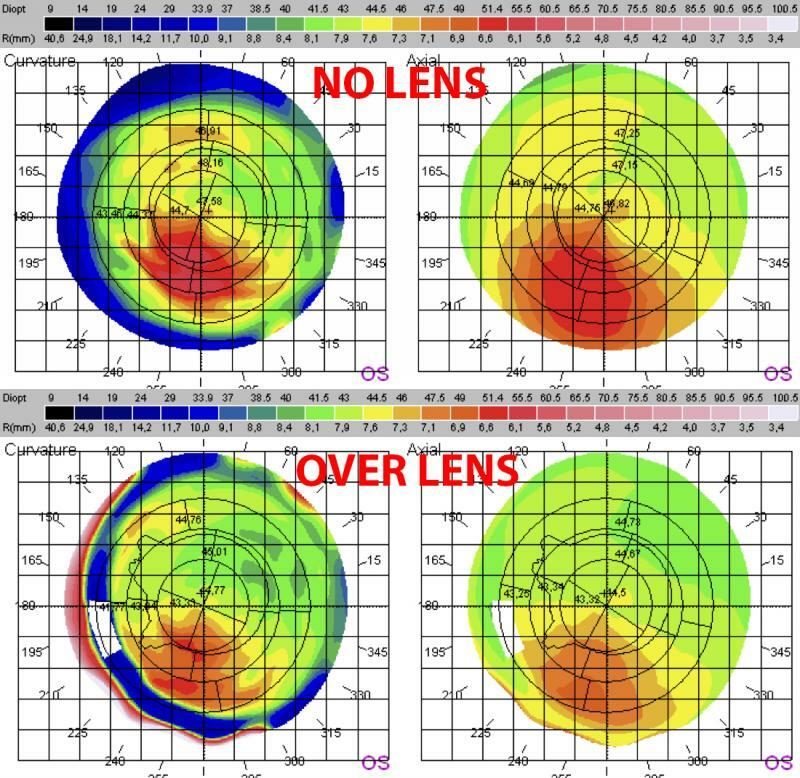 The newest lens designs enable practitioners to use only a few diagnostic lens sets to fit 80% to 90% of their cases. 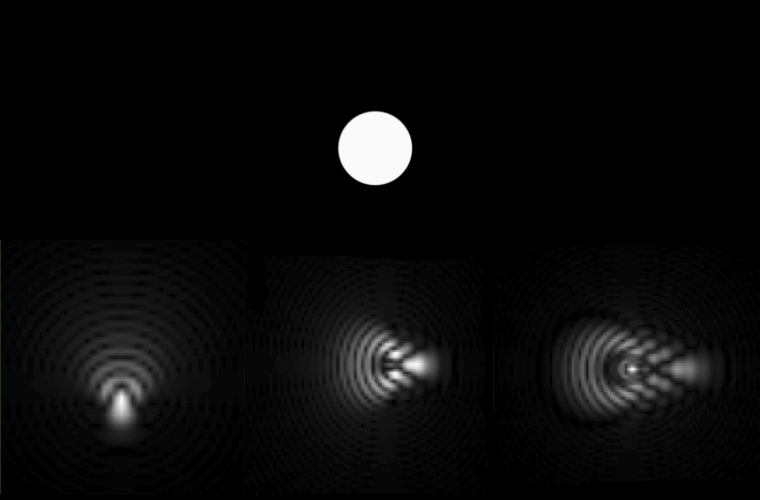 New over-refraction techniques – such as PSF (Point spread function), see figure below, used in every wavefront aberrometer – help minimize practitioners’ chair time and can be of great help in the fitting process. A soft lens can mask underlying corneal irregularities. We describe this effect as ‘blending.’ The amount of blending of the irregular corneal surface can be checked and evaluated with technology currently available in many specialty lens practices: corneal topography and wavefront aberrometry. Following insertion of the diagnostic lens, topography performed over the lens can immediately show the homogenization of the front optical surface of the eye/lens system. 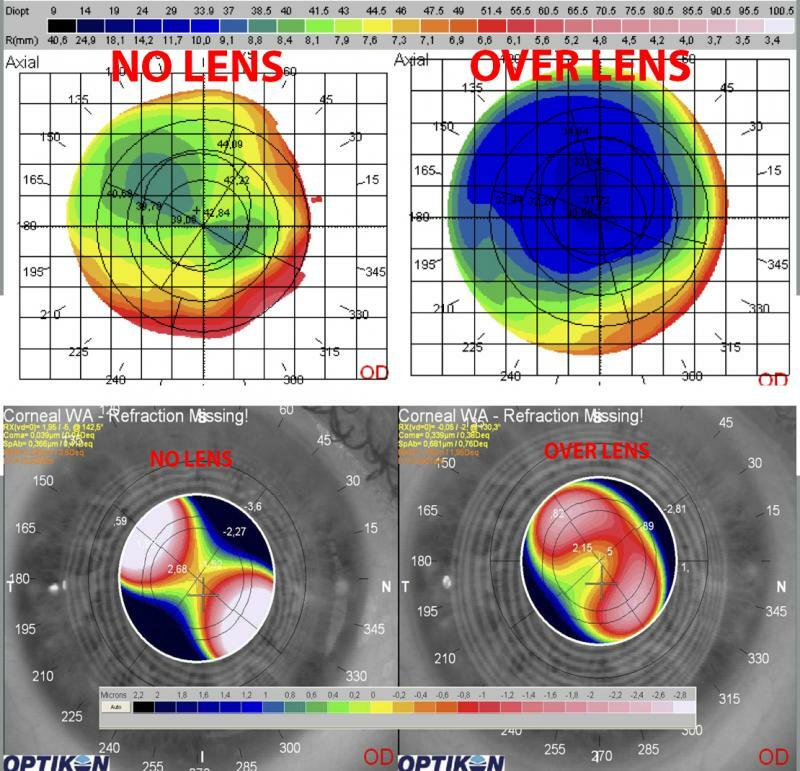 Furthermore, aberrometry performed with the diagnostic lens on the eye can show the reduction in main high-order aberrations that reduce vision, such as coma, spherical aberration and trefoil. The same measurements are advised with the final lenses on the eye to double-check the end-result. Patient selection is not limited with the novel designs available today. Even in advanced irregular cornea cases, in which subjective refraction cannot be performed, functional vision can be achieved with soft lenses for the irregular cornea. 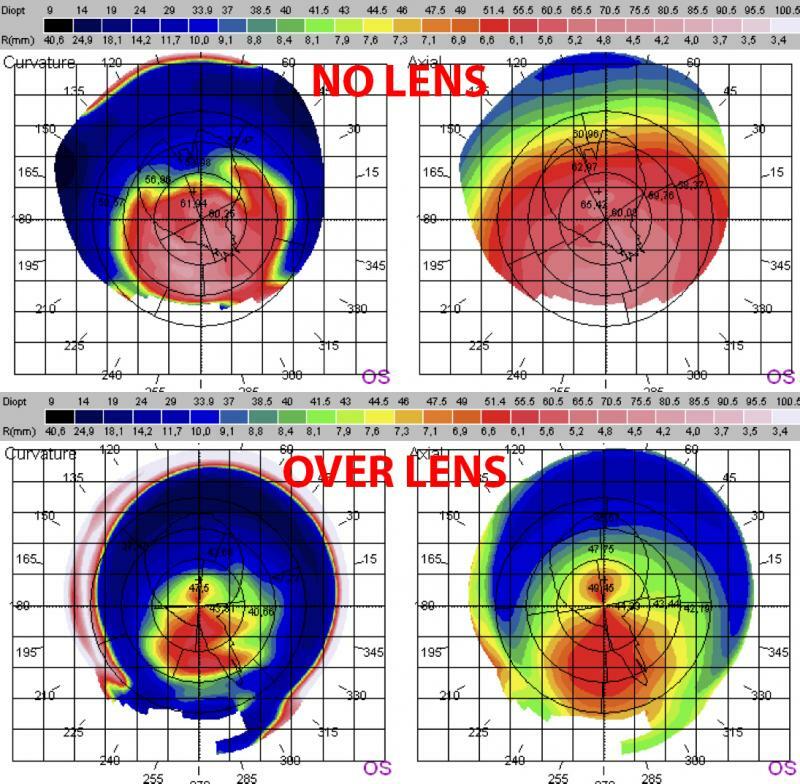 Moreover, residual topographical aberrations in keratoconus cases may lead to unexpected optical results - for two reasons. Firstly because of the front aspheric lens optics, and secondly because of negative residual vertical coma of the front surface that is neutralized by the positive vertical coma of the back surface of the cornea. The practitioner can easily expect to improve 3 to 7 lines of Snellen visual acuity, not only in photopic conditions, but also in mesopic conditions such as in night driving, where performance is critical. 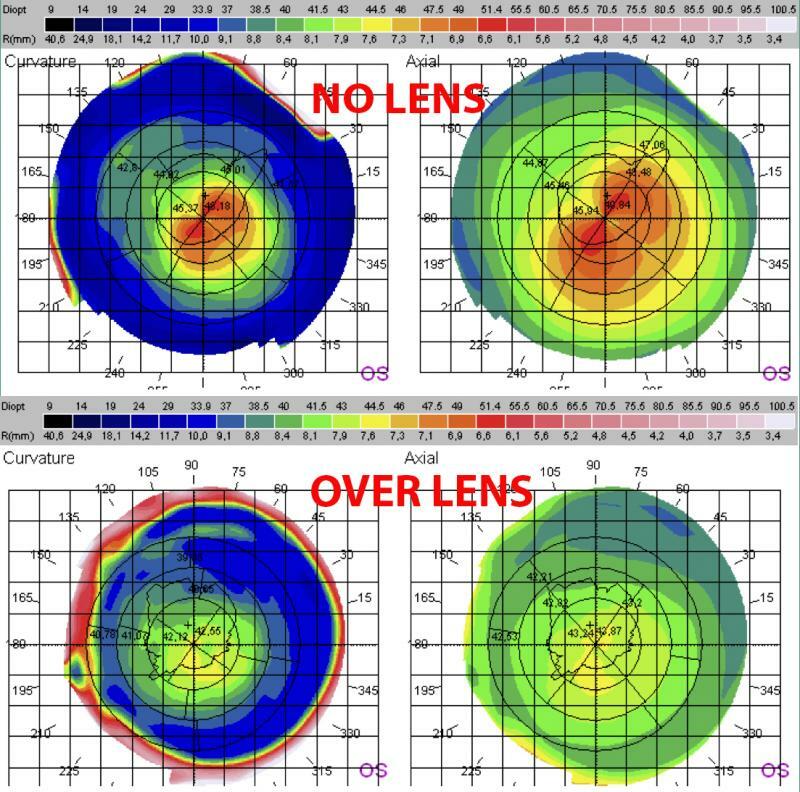 Corneal blending is evident when comparing no lens and over-lens topographies. Peak to valley (P-V) corneal powers within the 5.0 mm zone reduced from 13.51D to 6.80D. Flattening of steep K by 14.93D. Optical blending of the lens was evident by an RMS of 3.24 microns without lens and 1.76 microns over the lens. 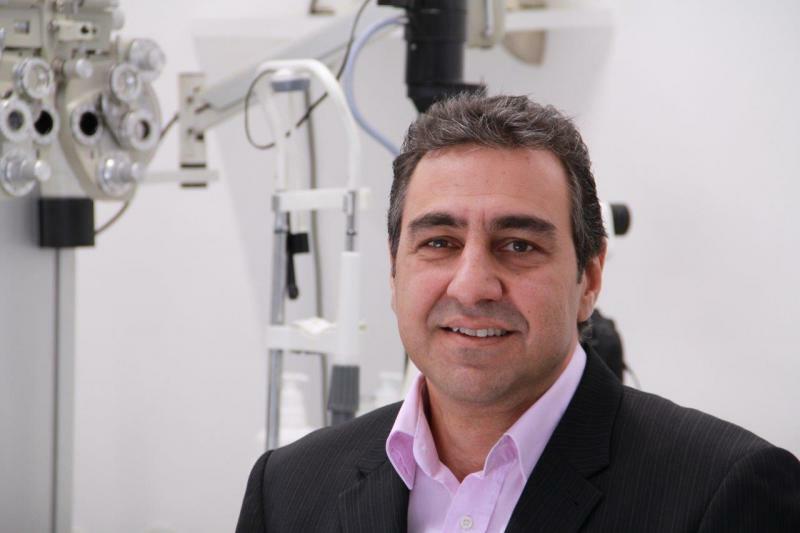 Lefteris is a graduated optometrist and dispensing optician in Greece. He subsequently completed his specialization in low vision rehabilitation and additional training in optical design, refractive surgery and excimer laser use. In the past, he has collaborated with private practices and refractive surgery clinics. He is the co-founder of EYEART Laboratories, which designs and manufactures contact lenses and low vision aids. Most recently, he has worked as a clinical optometrist, a supervisor of clinical trials, a contact lens designer and a specialized contact lens fitter. He is head of the prosthetic department, supervising, fitting and manufacturing ocular prostheses, scleral shells and soft hand-painted prosthetic lenses. He has developed numerous contact lens designs for the ectatic cornea in soft lens, corneal and scleral RGP lens modalities, some of them used widely today.